Riveted aileron and flap fairing. 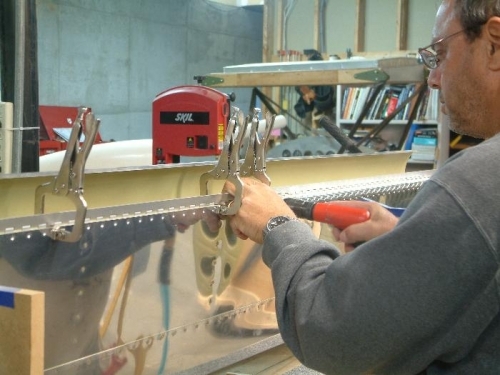 There are two methods of removing the hinge pin once the aircraft is completed. One is by drilling a small hole in the inboard aileron hinge. 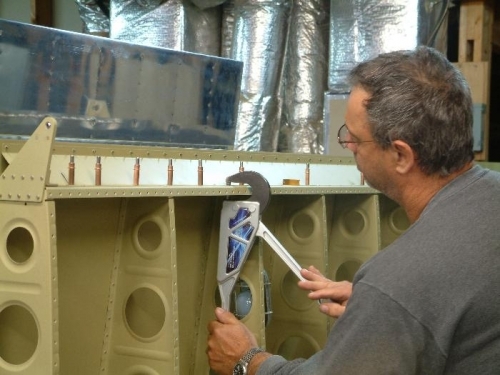 This will require removing the aileron pushrod to gain access and move aileron out of the way. The other method which I used is to remove one hinge eye from the flap, two hinge eyes from the wing portion and fabricate two hinge pins with bends to lay on the surface of the flap fairing to allow for easy removal. 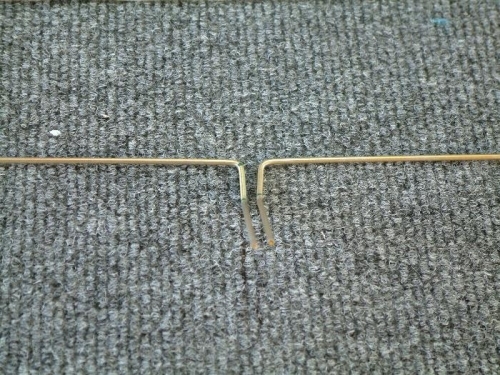 The long portion of the bend in picture #2 will be safety wired to the flap fairing.